On 17 September 2018, the sisters in La Verna at Ladywell Convent celebrated this Feast Day with all our sisters and staff. 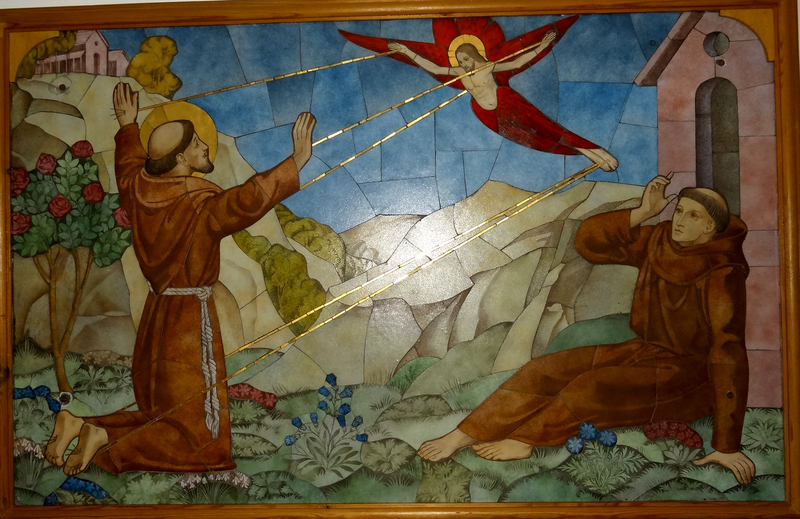 St Francis of Assisi received the Stigmata (Greek word for ‘mark’) some two-years prior while in prayer on the remote mountaintop of Mount Alverna (also known as La Verna).This mosaic of the Stigamata is in La Verna chapel. In the early days, Hospitals were named ‘Mount Alvernia’ and community houses were named ‘La Verna’ and the latter still exist today. As we celebrate this great Franciscan Feast we also give thanks for the many places we have lived and ministered who were named after this holy mountain Mount Alvernia – and we remember those where we still serve in Singapore, Ireland and our La Verna novitiate community in Victoria Falls, Zimbabwe.